The flow is unabated, hurtling along without any gap to allow an individual to cross. Waiting on the sides the numbers grow from a few to tens, twenties, hundreds, jostling for space till the crowds reach critical mass, enough to tackle the flow. These are not pedestrians waiting to cross a busy street, but herds of wildebeest on the great Serengeti. 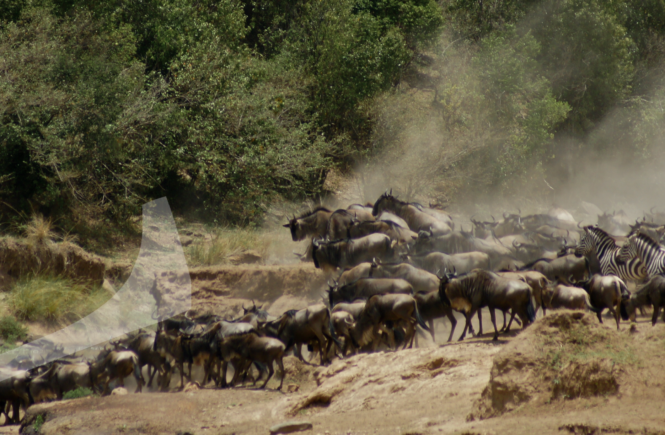 The herds of wildebeest, with an assorted mix of impalas, gazelles, elands and even zebras, venture forth to battle the assault of the waters, determined to make it to the other side of the fast-flowing rivers.